The District's Capital One Arena is home to the 2018 Stanley Cup Champions. 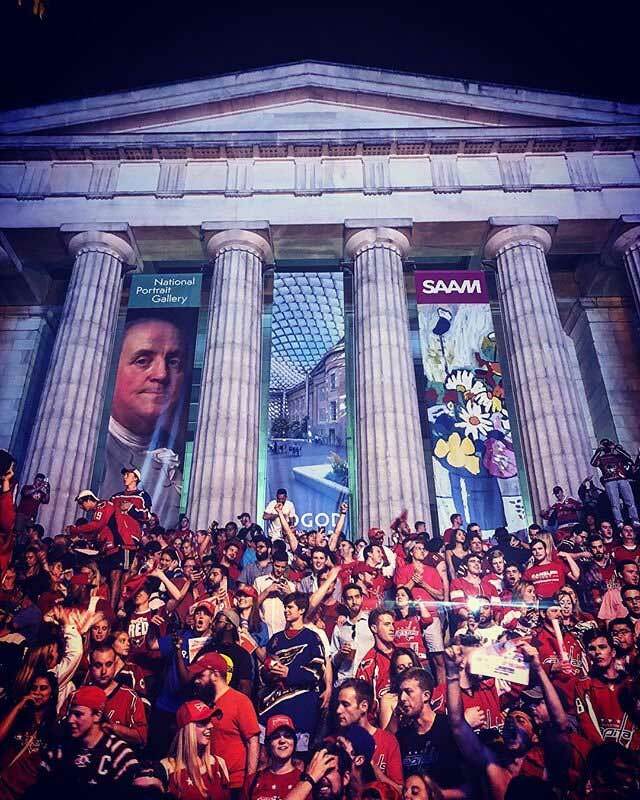 Attending a Washington Capitals game is a time-honored tradition in DC's Penn Quarter/Chinatown neighborhood. 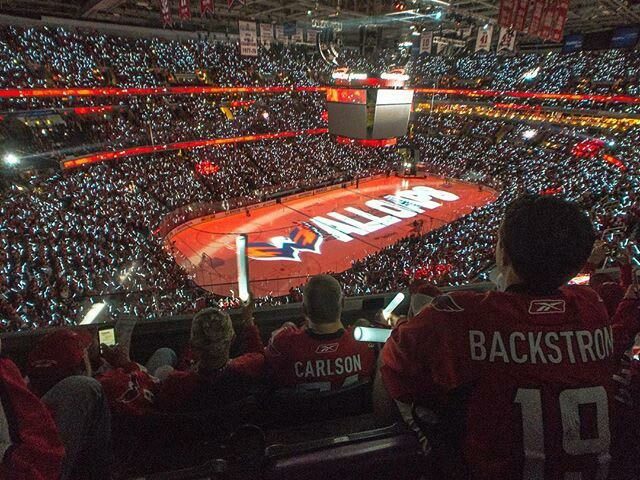 Thousands of fans flock to the Capital One Arena 41 times between October and April, rocking the red to root on the Caps. In 2018, the team won the first Stanley Cup in the franchise's 44-year history. As the franchise defends its first Cup championship, check out our favorite reasons to attend a game, with an obvious one to start. 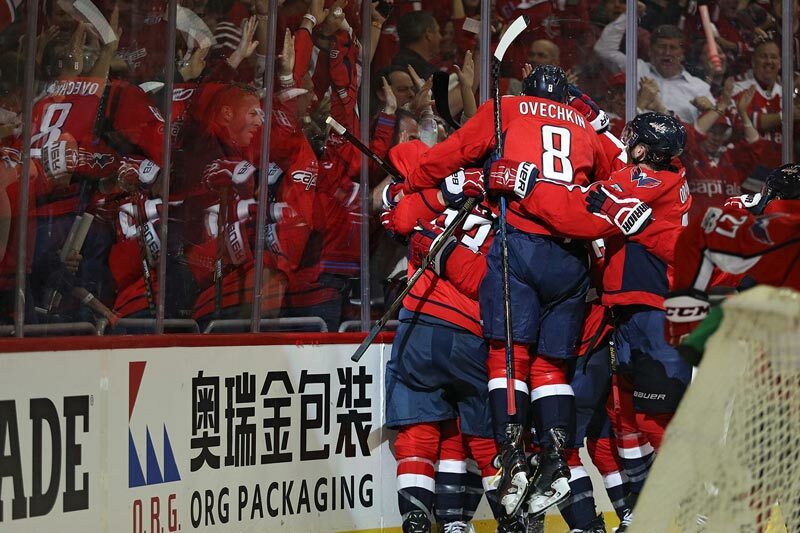 After defeating the Columbus Blue Jackets, the archrival Pittsburgh Penguins, the talented Tampa Bay Lightning and the expansion sensation Vegas Golden Knights in the 2018 Stanley Cup Playoffs, the Washington Capitals became Stanley Cup Champions for the first time. 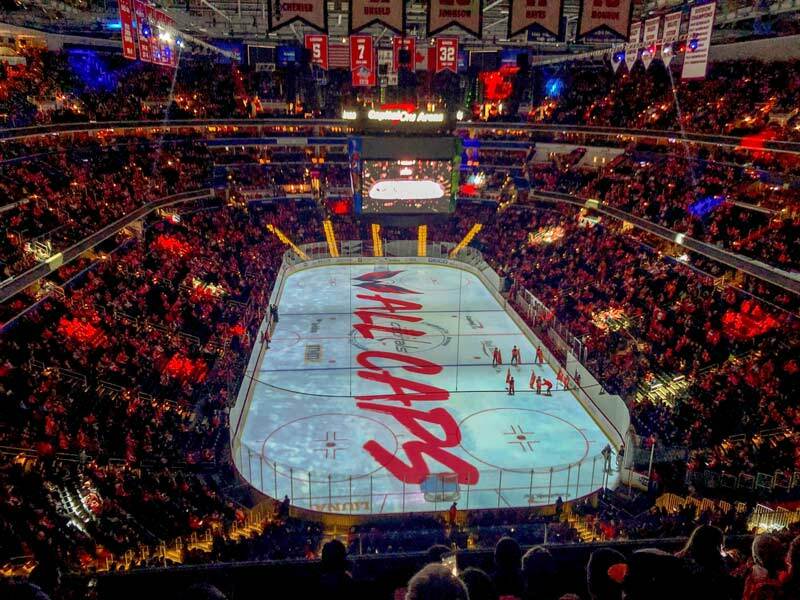 Capital One Arena will be rocking the red harder than ever before as the Capitals look to defend their title in 2018-19. The Capitals are fortunate to employ one of the greatest goal scorers in the history of the National Hockey League (NHL) in Alex Ovechkin, commonly known around DC as “The Great 8." His slapshots are a thing of beauty, and his thunderous hits usually send the crowd into a frenzy. But the star power does'’t stop there. Centers Nicklas Backstrom and Evgeny Kuznetsov are two of the game’s flashiest playmakers, while goalie Braden Holtby is considered the best at his position. Simply put, the Caps are an absolute joy to watch play the game of hockey. Okay, they haven’t made the postseason in EVERY year of their existence, but recently, you can count on the Caps playing after the regular season schedule concludes. They have made the Stanley Cup Playoffs in 11 of the last 12 seasons, a run that includes three President’s Trophies (awarded to the team with the best regular season record) and a Stanley Cup title. 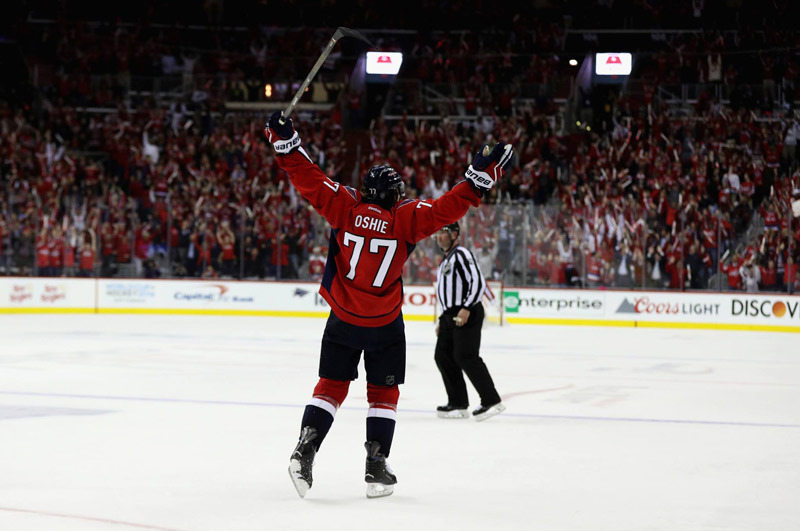 The atmosphere both inside and outside of Capital One Arena (previously known as the Verizon Center) is always filled with excitement – the arena is considered one of the loudest and most boisterous stadiums in the NHL. Roughly 19,000 red-clad fans pack the arena for each Caps game, losing their minds for every Ovechkin goal or brilliant Braden Holtby save. Fans young and old absolutely adore this team and its stars, and you can savor the wonderful atmosphere, especially in 2018-19, as the Caps defend their Stanley Cup title. Many sports fans will tell you that hockey, specifically the NHL brand, is the most entertaining sport to witness live. The game’s non-stop action, featuring speedy and skilled skating, gorgeous puck-handling, high-impact hits and goalies that stretch like ballerinas to make saves, will put you at the edge of your seat throughout the 60-minute game. In addition, there’s nary a bad view from Capital One Arena’s seats. 6 Capital One Arena will provide an even more enjoyable experience this year. Recent renovations to Capital One Arena promise to take the fan experience at a Washington Wizards game to a whole new level this year. Improvements include fully modernized concourses, a new sound system, new dining concepts and The Connected Fan program, a personalized digital experience that will allow you to order food and beverages and receive special offers during the game. Penn Quarter/Chinatown is one of the liveliest neighborhoods in the District. 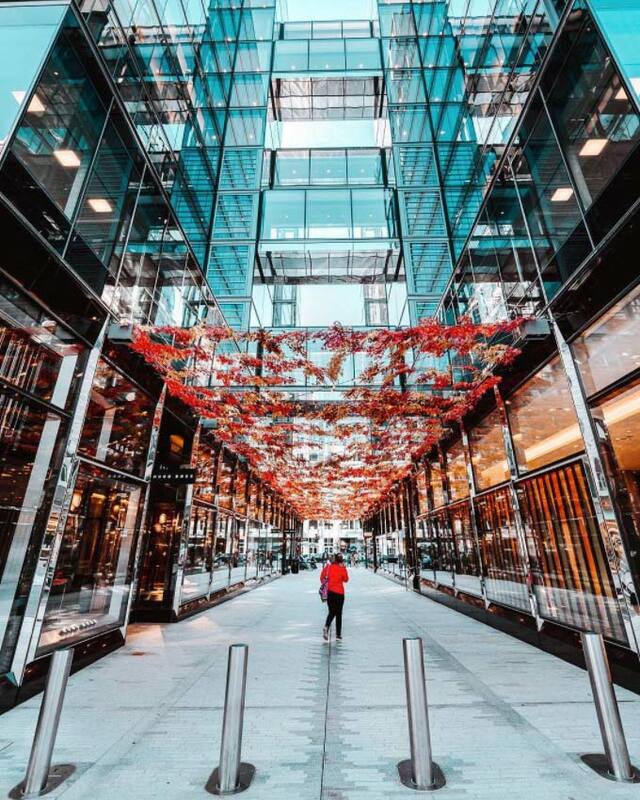 There are dozens of restaurants near Capital One Arena, as well as the shopping hub that is CityCenterDC. The Smithsonian American Art Museum and the National Portrait Gallery are housed in the same building across the street, while the Newseum is a short walk away. Have another night in the city? Check out a play at Ford’s Theatre or Shakespeare Theatre Company.